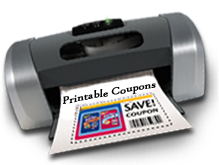 Here are all the latest coupons available at Coupons.com, Red Plum and Smart Source. All of the coupons listed below were found at zip code 07039. Be sure to click the link below to see the entire list.